Unhappy events are inevitable and feeling ‘blue’ about them is also common. But there are also many amongst us who seem to live in a world filled with sadness, anxiety, disinterest and hopelessness. 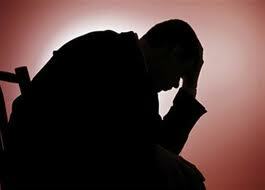 The mental burden these feelings create can interfere with the person’s appetite, sleep, thoughts and action. In short, his or her quality of life is severely impaired. Known as the classical symptoms of what psychiatrists call ‘depression’, such feelings invade the minds of close to 20 million Americans. While there are plenty of reasons why someone would feel sad and depressed, one of the prime factors could be poor quality of sleep. The association between sleep and the mind and mental health could be complicated. On one hand, sleeping problems promote mental illness like depression, on the other depression could well create sleeplessness or poor quality of sleep. For example, many develop depression because of a concealed sleep disorder; some may already be a patient of a sleep disorder which promotes depression. In short, it is rather tough to say which comes first without proper diagnosis. The interesting fact is that both these health conditions could have similar risk factors and also respond to similar treatment modalities. There could also be sharing of similar clinical features between the two illnesses. There are many symp toms of depression which resemble the onset of many types of sleep disorders including sleep apnea, narcolepsy, insomnia and restless legs syndrome or RLS (a nerve disorder), where the pain and discomfort felt in the legs could make the patient severely depressed. Statistical information from Restless Legs Syndrome Foundation, related to the presence of depression in patients with RLS, shows that close to 40% of patients diagnosed with RLS also suffer symptoms of depression. This results in an increase in the risk of misdiagnosis. Another symptom of depression that can be misleading is excessive sleepiness during the day. Because most depressed patients are unable to have a deep restorative sleep at night, it shows the next day in the form of daytime tiredness and lethargy. This could also lead to misdiagnosis of the illness or even not diagnosing the inherent sleep disorder that might be affecting the individual. This study involved 18,980 people and was done under Maurice Ohayon, MD, PhD, a researcher from Stanford. The study, completed in 2003 was later published in the Journal of Clinical Psychiatry and revealed that the risk of developing sleep apnea increased more than 5 times in those who suffered from depression. Though a number of studies could not prove the existence of any relationship between the two, most of studies done prove otherwise. 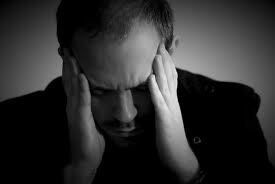 It has been found that several symptoms of depression improve when the underlying sleep apnea is treated. According to the existing criteria of diagnosing a psychological disorder, the symptoms of depression present in an apnea patient could be the result of the primary health condition. An swer to the frequently-asked question: ‘does sleep apnea cause depression’ is found when we learn that sleep apnea patients do show signs of depression that is apparent during clinical diagnosis. Sleep apnea does impact the mental and intellectual faculties of the patient and this information can help in the right diagnosis. Sadly, not many psychiatrists and physicians are aware of this crucial link between the two ailments and what the real reason is for the patient to show signals of depression. If the treating doctor suspects that the depressed patient could be affected by sleep apnea then a prompt diagnostic examination ought to be done to assess severity, etc and then administer appropriate treatment. 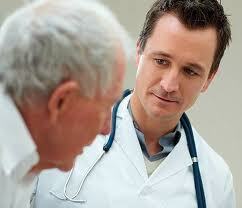 Additionally, all sleep apnea patients should be assessed for the state of their mental health and receive support. Such support can be given by special therapists who are trained for such purposes. This can help hasten recovery from both the illnesses. Lack of sufficient sleep is responsible for the onset of a variety of illnesses including obesity, diabetes, heart ailments and depression. Inadequate sleep not only results in the onset of such ailments but also has a negative impact in their management and prognosis. According to a CDC (Centers for Disease Control and Prevention) epidemiologist Anne G Wheaton, who also authored a study to find links between sleep apnea and depression, oxygen deficiency at the cellular level, caused by recurrent breathlessness in sleep apnea affects both physiological and psychological health of the sufferer. The study that was subsequently published the Sleep journal involved close to 10000 adults. It was found that the chances of depression increased when the subjects reported apnea symptoms of gasping and choking during sleep. Wheaton mentions that though psycho-analysts examining patients with depression often asks them regarding their sleeping patterns, to check whether they suffer from insomnia, but the link between depression and sleep apnea is less established. Studies done at CDC (Centers for Disease Control and Prevention) have provided fresh insights to the link between these two ailments. For example, loud and persistent snoring, an important indicator of sleep apnea may not have any links with depression. 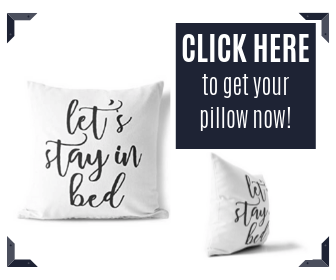 However, the study showed that 37% and 22% of men and women who snored during at last 5 nights a week did not have any increased risk of developing depression than non-snorers. The study also revealed that the risk of depression doubled with men diagnosed with sleep apnea. Signs that men typically show include lack of interest and hopelessness. Specialist working with the Texas A&M Health Science Center College of Medicine, who was not involved with the study expresses concern over the two illnesses remaining ‘underdiagnosed’. For getting proper diagnosis and treatment, both sleep specialists and psychiatrists need to improve their screening abilities. Distinguishing and segregating patients who have both the ailments is often difficult because of overlapping symptoms. Daytime fatigue, an indicator of depression is one of those symptoms which people suffering from insomnia as well as sleep apnea complain of. One of the effects of sleep apnea is worsening of depression. What are the symptoms and causes of depression? – Thoughts of committing suicide or death. – Alteration of eating habits and also body weight. Depression manifest in other ways too. For example, a depressed person may suffer from diminished self-confidence and anxiety. He or she may complain of headache, pain in the back, digestion problems and so on. – Changes in the biological parameters inside the brain. – There several chemicals in the brain that monitor mood. Any disorder with neurotransmitters could cause depression. 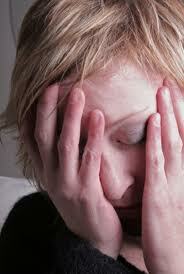 – Menopause, thyroid disorders cause hormonal imbalance which in turn result in depression. – Physical and mental trauma. This not only includes sad events but also trauma experienced in childhood including abuse, etc. How to treat sleep apnea with depression? Treating the un derlying sleep disorder is usually integrated with the mainline therapy for depression. Psychotherapy which includes Cognitive Behavioral Therapy as well as anti-depressants is normally used to treat depression. 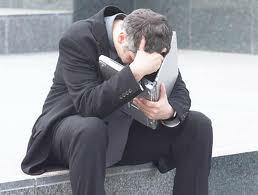 However, it is also a fact that presence of sleep apnea would complicate many treatment initiatives for depression. For example, for patients who are suffering from both the conditions should ideally not be administered antidepressants which have sedative effect. This is because such drugs may cause further obstruction of airways and cause deterioration of the condition. Thus it makes sense to talk to the doctor if you are being treated for depression about your sleep experiences so that the doctor may screen you for sleep apnea. It has been observed that treating the concealed sleep disorder appropriately more often than not can simultaneously cure depression. Cleveland Clinic Sleep Disorders Center, in a recent study (submitted during yearly conference of Associate Professional Sleep Societies in Boston) has shown that, by deploying CPAP, considered one of the most effective treatment options for sleep apnea, effectively reduces depression symptoms. Improvement of depressive condition was apparent even when patients used the airway therapy partially. However, patients showed maximum improvement when they used it for 4 hours or more. According to researchers, good sleep restores and protects brain functions as well as against reappearance of mania. According to Medical Director of the Sleep Disorders Center at the Mayo Clinic Health System, sleep problems, most common of which is sleep apnea are co-existent with psychological problems. When a person experiences continued sleep deprivation and interrupted sleep, it usually fans the flames of the embedded mental illness and distress. If the sleep disorder can be effectively treated, relief from depression is possible. The question “does sleep apnea cause depression?” Is thus answered most appropriately when we find that both the illness not only share certain common symptoms but also respond to common therapies. What is the proof of improvement in depression after sleep apnea therapy? When during the yearly Sleep 2012 conference researchers from Cleveland Clinic showed that PAP usage for treating sleep apnea improved depression, they proved the improvement by showing enhanced PHQ9 scores. Therefore, as a patient suffering from both the illnesses, you need to know what PHQ9 score is and the role it plays in the treatment of depression. PHQ means Patient Health Qu estionnaire and 9 refer to the nine questions that help doctors to assess severity of the disorder. This nine-question tool is an effective means for the diagnosis of depression and choosing the most suitable therapy for the management of the disorder. The PHQ9 assessment questionnaire has two aims: to study the symptoms and the degree of impairment the symptoms are causing; and, check the severity of the condition. The nine questions are directly related to the nine diagnostic criteria for depression. What role do psychiatrists play in the treatment of sleep apnea? It is perfectly possible that someone who complains of daytime tiredness, depression, etc could be suffering from sleep apnea as well, but is not aware yet. Thus when a psychiatrist initiates treatment for depression, without getting into the deeper aspects of the disease, he or she is actually missing a very important therapeutic area. If the patient shows symptoms which can even remotely resemble that of sleep apnea, he or she should be referred to the relevant sleep specialist for further assessment. 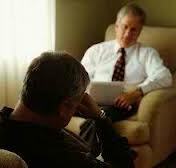 This important role by psychiatrists and psychologist can greatly enhance patient recovery. All that is needed for such ‘complete’ assessments is a questionnaire which the psychologist can use at sleep clinics, or at his or her area of clinical practice. However, psychologists also need special training in the field of sleep medicine to be able to work hand-in-hand with sleep doctors at sleep clinics. Additionally, it is usually traumatic for the apnea patient to accept the therapies for the ailment. While family and people close to the patient as well as support groups can be of help, professional intervention by psychiatrists for people already diagnosed with sleep apnea, can go a long way in restoring faith and trust in the patient who is feeling lost. I was diagnosed with sleep apnea in 2014. I’ve been using a cpap ever since, but it seems to have limited effectiveness in fixing my fatigue. In fact, using it, I’m still fatigued, but it’s a different quality fatigue, like I’m still not getting deep enough sleep. My AHIs are consistently between zero and two. This has been catastrophic as far as my life goes. I’m out of work because of this and will soon be homeless. I’m just so tired everyday that normal activities tremendously difficult. All I want to do is lie down. And yes, I consider suicide. I’ve been thinking of that for over three years now, everyday. I pine for death, and see the rest of this life as simply waiting for the end to mercifully come.